With the abundance of new music being released the last few months, my new copy of Hendrix Miami Pop Festival 1968 has been waiting patiently for a concentrated listening session. As has been previously discussed here in the rock room its a strange 'experience' when new Hendrix recordings are unleashed on the public. The question is always asked, 'How much more can there be?' 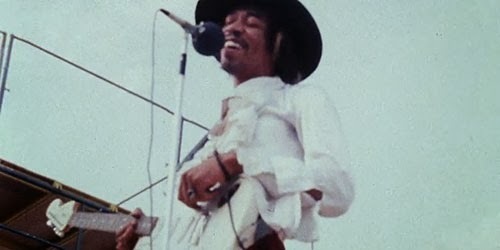 I can confidently tell you dear reader that in the case of live recordings, Miami Pop Festival is a core addition to the Hendrix canon, as well as one of the best live performances to be unearthed from his vault. Found in the era prior to Electric Ladyland but following the groups first two LP's, the Experience is practiced and exhibiting incendiary concert experiences on a nightly basis. While this recording contains most of the usual Hendrix concert staples from the period, each performance is injected with unique melodic escapades, and exclusive band interactions that make the concert essential listening. 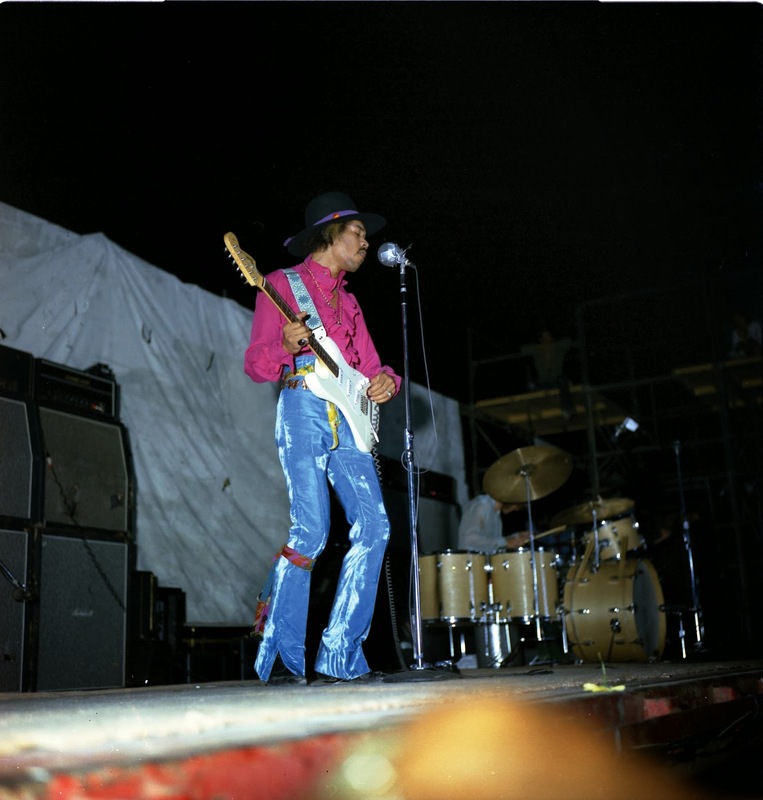 The concert is also notable for Hendrix being dosed with 'STP' prior to the performance making his approach to many of the songs, a bit more 'cosmic' to say the least. There were to be two performances each day at the festival (5-18/19-68) by the headlining Experience, unfortunately the second day being a washout because of torrential rainstorms.This disc features the second of the first days performances as well as two bonus tracks from the afternoon show. As noted in the liner notes, among Hendrix aficionados, these performances are considered some of the finest ever by the Experience. Listen for yourself. As the disc and concert begins with the MC's introduction, Hendrix's guitar can be heard being plugged in and the sound that follows is startling in its tone and magnitude. While only a tuning up, this preview of the sound quality of the recording through the gear setup is that exciting! The concert starts in earnest with 'Hey Joe', and its obvious the group is quaking with kinetic energy. A drippy feedback laden 'Indian' introduction sets the stage. Mitchell is an octopus on the kit and Hendrix's licks are shimmery and multifaceted. Under it all Redding rumbles warmly, laying the thick road in which Hendrix can travel at his wont. 'Hey Joe' thunders recklessly, its climactic bridge a thrashing and stirring statement and a bombastic opening to the set. 'Foxy Lady' follows, detonating through its well known stop and start changes. This one, similarly to the entire show, has supplementary mid verse riffing, additional curls and points on Jimi's guitar lines and contains Hendrix acknowledging the song through added musical details, making it definitive. This show does not take place in a vacuum so to speak, as the previous weeks Fillmore East performances hailing from May 10th feature concerts of the same power and grace.The 'rock room' will review these concerts at some point in the future rest assured dear reader. 'Tax Free' is the first monumental exploration of the concert. Reaching past eight minutes Hendrix heavy steps with metallic string bends early on before switching to his milky 'Crybaby' eliciting liquid psychedelia to seep from the onstage amps. The roller coaster chord changes are reigned in and by Redding and Mitchell and developed into a shifty transparent floor in which Hendrix slides across shoeless. Hendrix tugs on the melody line until it splits into multiple frayed ends, gently gathered by the assembled audience. At two minutes Hendrix Jimi pours a series of molten licks based on the theme, setting the stage for an explosive climax that tumbles into a Mitchell breakdown. Dynamically Hendrix shifts out of the interlude into a staggered blues, then through an intense and speedy jam before returning to the song proper and concluding with a mind bending sound scape. After a lascivious romp through 'Fire', boiling over with sultry attitude, another expansive highlight occurs. An embryonic reading of 'Hear My Train A Coming' is introduced to the crowd. 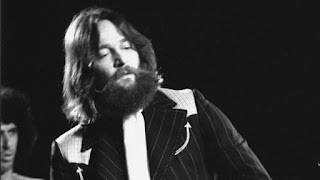 This performance is one of the earliest know recordings of the song, with the preceding Fillmore East version quite possibly being the earliest. Jimi does say that the band has only done this particular 'slow blues' only 'one time before', and its only 'just a jam'. Similarly to his influential blues heroes, Hendrix starts the song with some elastic country blues riffing and an off mic holler. 'Train' moves slowly, Hendrix exploring every cranny of its changes, the song is still early in its development, slightly tentative, but builds steam steadily. The first solo a deliberate rubbery exploration eliciting Albert Lee, eventually leading to some tight stinging statements. The second and third solos, are all quintessential Hendrix, distorted, soaring, and resplendent. 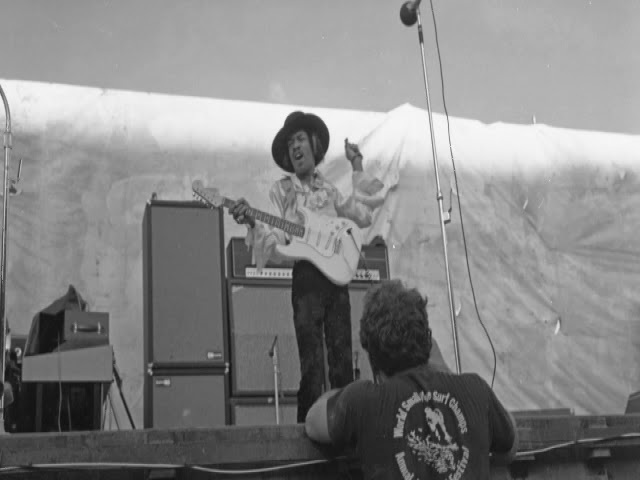 Hendrix thanks the crowd and explains that there's nothing left of their amplifiers but ashes, before Mitchell pounds out the totemic rhythm of 'I Don't Live Today'. 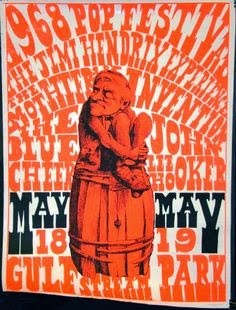 The concert is peaking at this point in the show, probably in addition to Hendrix and the majority of the crowd. After the weightless drift through space where Hendrix states on the studio version 'Existence, nothing but existence' the Experience dash toward the precipice ahead joining hands and taking a leap of faith. Beautiful. Quite possibly the best era for 'Red House' depending on who you ask. Hendrix straps on his Gibson Les Paul Custom for a twelve minute version of another 'slow blues'. Clean as summer sheets drying on the line, Hendrix skillfully plays a smooth and round introduction, each note a universe onto itself containing sustained barley audible sounds that disappear into the humid Florida air. Hendix's vocals the most expressive of the evening, entering into a duet with his other electronic voice, soul, soul, soul. In this version Jimi is on his way to see his 'fat baby'. The first solo is a concentrated attack, becoming over driven and gaining momentum. Hendrix menacingly draws the band into a percolating and swirling climax in which Mitchell and Redding are flying and Hendrix drapes his velvet guitar over restraining them to inches above the earth. A jazzy interlude develops with Jimi blocking chords while Mitchell scats across the skins. This fizzles into a low key, but melodic Redding bass solo that appears briefly then continues on through the songs changes with Hendrix returning for another round of soloing. This series of expression contains his entire sonic arsenal, wah wah, Octavia, over driven neck strikes and vibrato. The top does not come off here, as Hendrix keeps the emotion in constant flux, raising and deflating the tension, eventually slipping into the last verse. This 'Red House', similarly to all of them, contains its own attitude and emotion, this 'Red House' contains shades of blue, stays in control, and is slow and smooth. Wow. The concert concludes with Hendrix's biggest hit and for a lot of the crowd the most wished for track of the evening 'Purple Haze'. This is a raucous punk version that teeters on its axis, threatening to go out of control. Not straying from the studio version too much per usual, this track is still as well played as the previous and a fitting conclusion to the concert. The CD has two additional bonus tracks that come from the afternoon performance, featuring 'Fire' and 'Foxy Lady' from the afternoon show. These are again monstrous versions containing playing of the most impressive magnitude. The 'Fire' jumps like a child who has touched a hot stove and is probably 'better' than the one from the featured performance. The riffs Hendrix lays down prior to the second verse have to be heard to be believed! 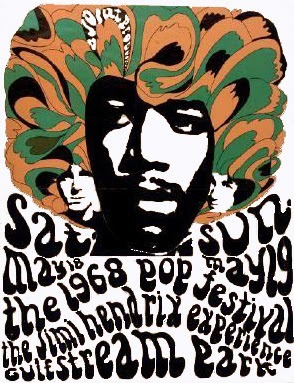 The Miami Pop Festival performances in May of 1968 find the 'Jimi Hendrix Experience' reaching the perfect combination of time, crowd, weather, drugs, practice, ability and friendship to play a show of legendary status and a show that today can stand as one of their finest moments as a performing group. In my opinion these tracks can easily compete and sit with the famous and lauded Winterland 1968 performances to come in October. Every Hendrix fan needs this recording in their collection. Yes, dear reader there are more things in the Hendrix vault that are worth your money and time!